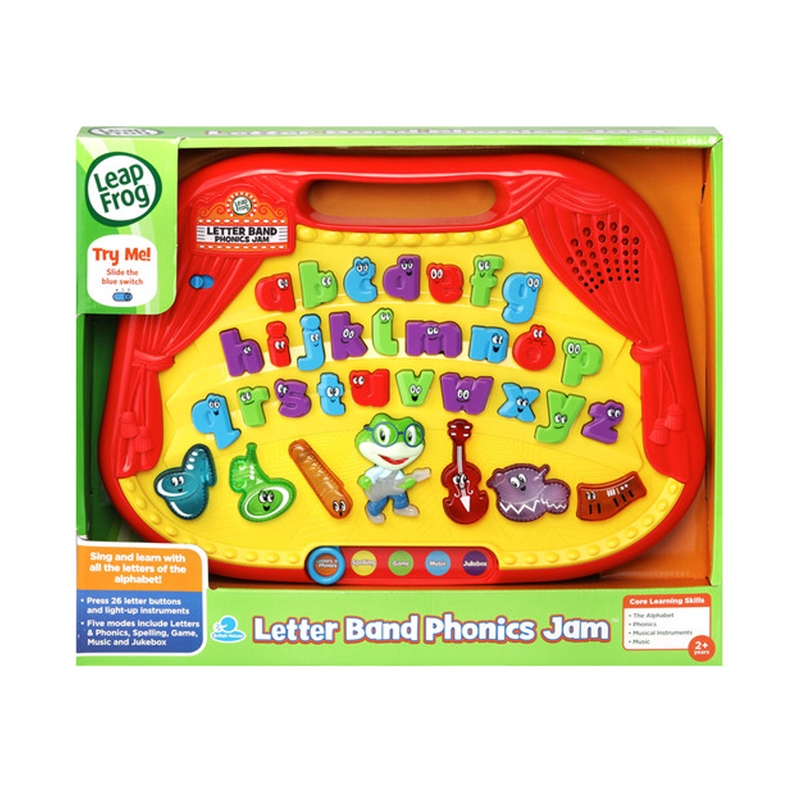 Join Tad and his Letter Factory friends as they explore letters and music in the Letter Band Phonics Jam. Hear each letter sing its name and sound by pressing the 26 letter buttons, or learn to spell three-letter words by following along with Tad. 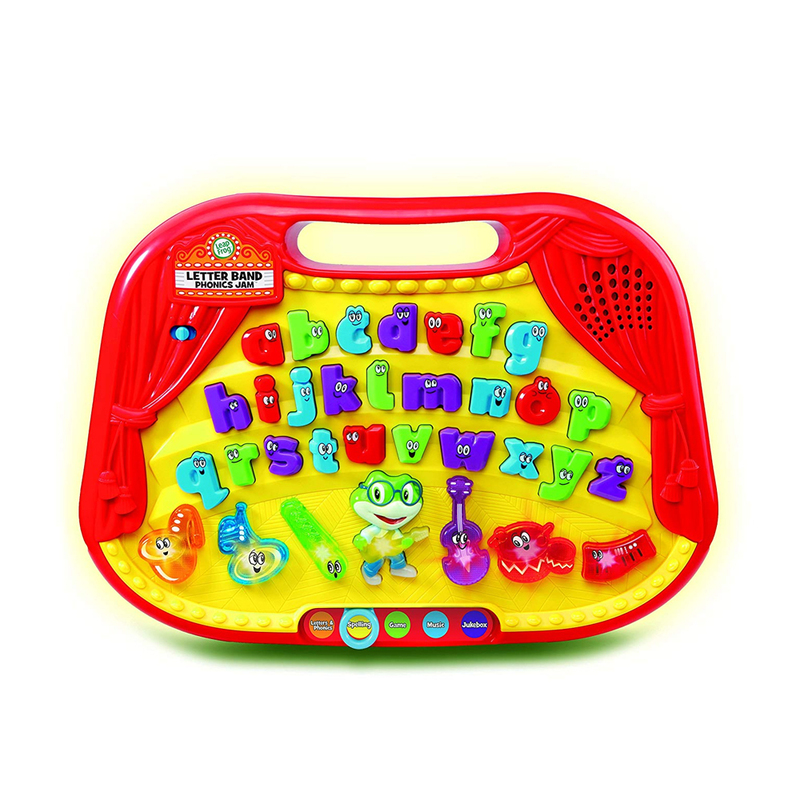 Get to know Tad’s instrument friends by pressing their light-up buttons to discover their names and how they sound. Tad also plays the guitar and sings the abs song. Jam along with Tad and the letter band! "Letter Band Phonics Jam gives young learners a fun way to explore letters with five different game modes. Letter games introduce the alphabet while musical games help develop hearing and listening skills. 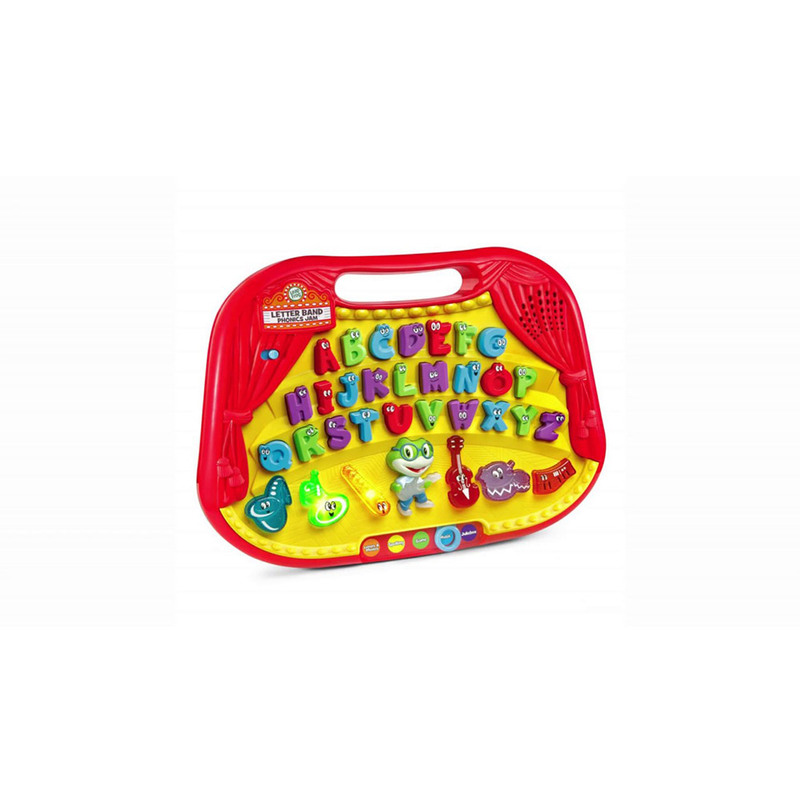 With every press of the letter buttons, this toy reinforces the relationship between letter names, sounds and words—setting an important foundation for learning to read. Tad leads the letter band by playing his guitar and singing the abs song in addition to playing a fun phonics challenge.